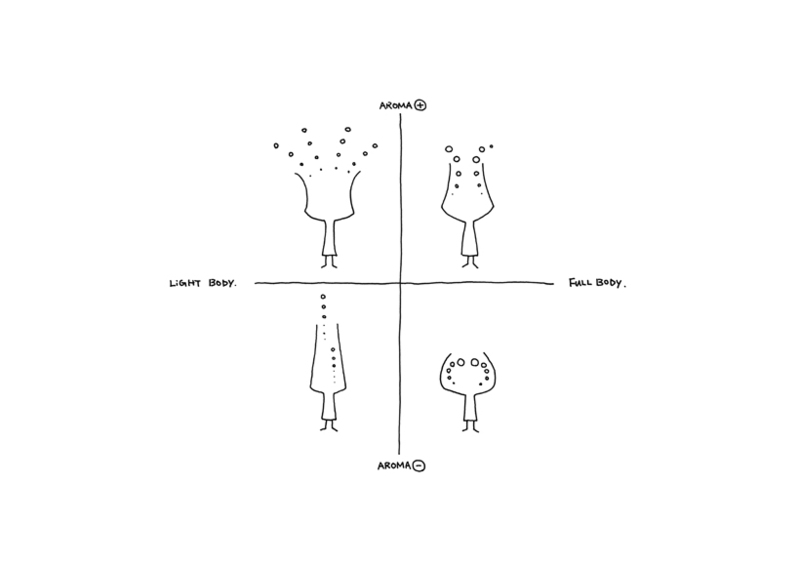 and of course the actual brewer and the brewery as well. 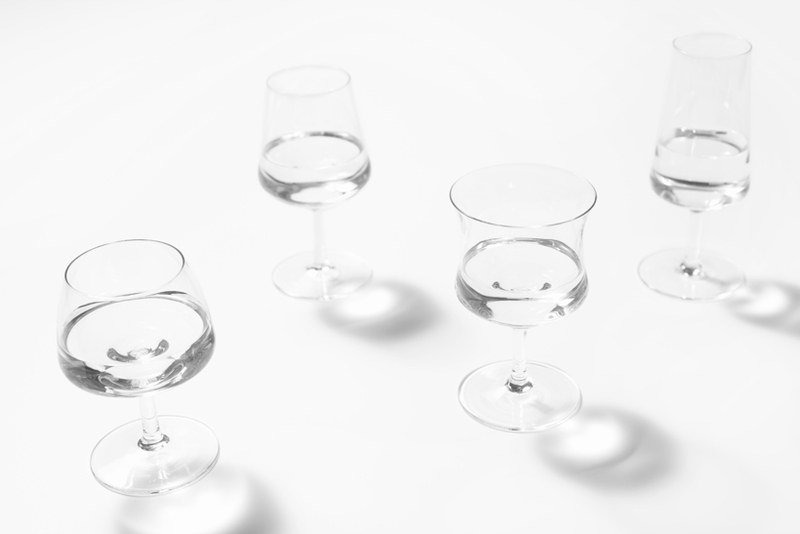 All of these factors play a role in the vastly differing tastes of Japanese sake variations. While this complexity and depth is part of the appeal of sake, it also leads to confusion and has been said to be a hindrance to its popularisation among younger people. 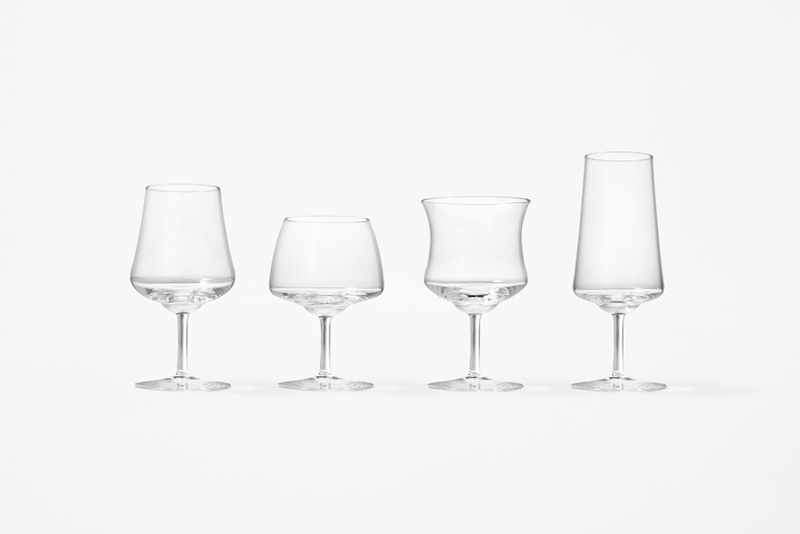 But sake can generally be categorised into four different types, and with this in mind, four different glasses were designed, each specifically tailored to a single type. 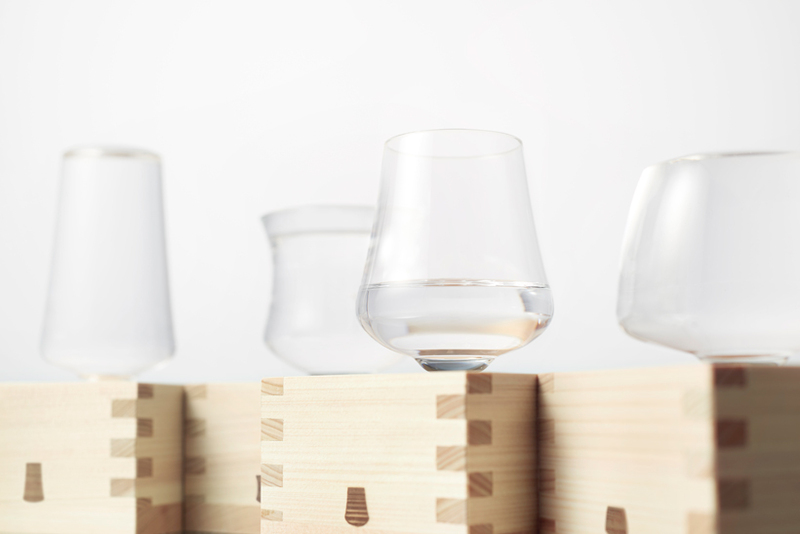 By also having the Kanbai sake brewery in Miyagi Prefecture craft four new brews of sake specifically for these glasses, our intention was to offer people a more accessible means of enjoying Japanese sake the way it was meant to be experienced. while a tip of the glass delivers a thin stream of sake all the way to the back of the tongue for a clear, refreshing taste. 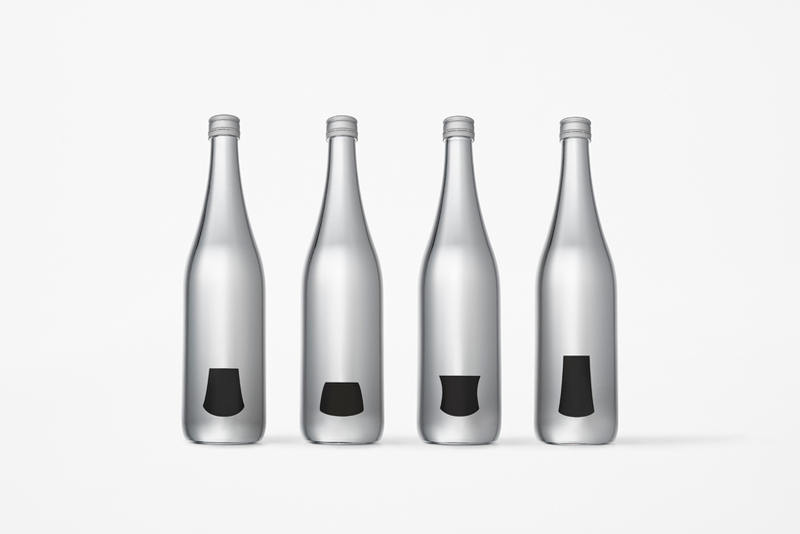 For rich, full-bodied sake, such as junmai varieties. 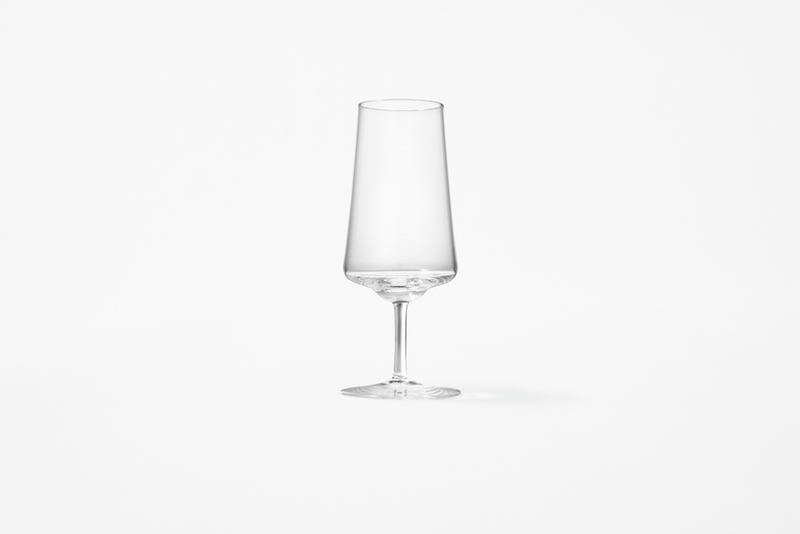 The lower portion of the body of this glass bulges outward, trapping the fragrance of the sake within and allowing the taster to enjoy the lingering flavours. 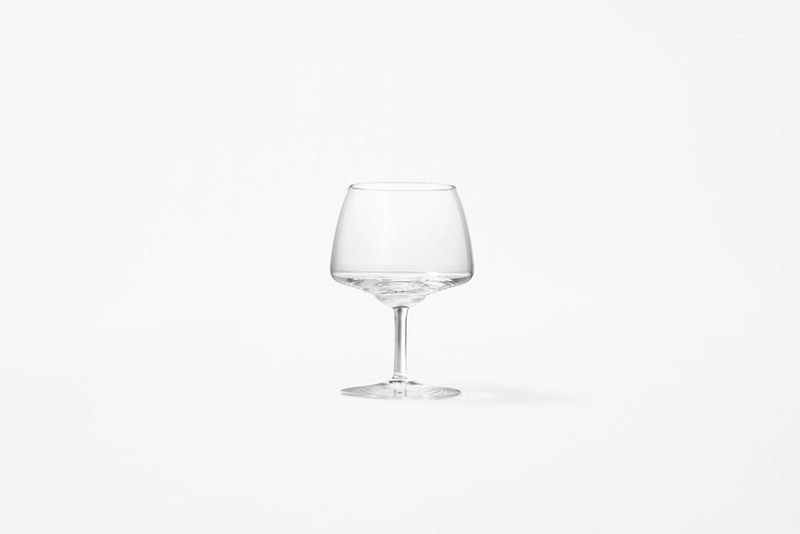 The shape of the glass delivers only a small amount of sake to the mouth with each sip so that the taster can enjoy the rich, full-bodied flavour bit by bit as if drinking from a small sake cup. 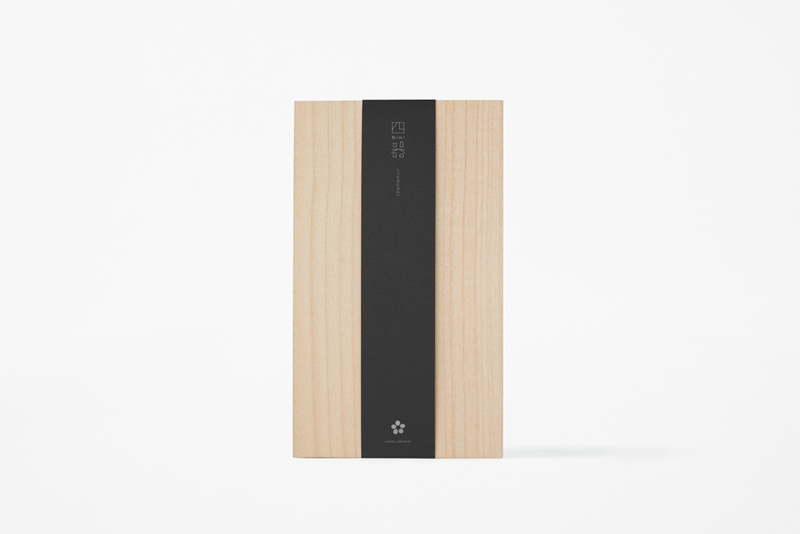 For particularly aromatic sake, such as ginjo varieties. 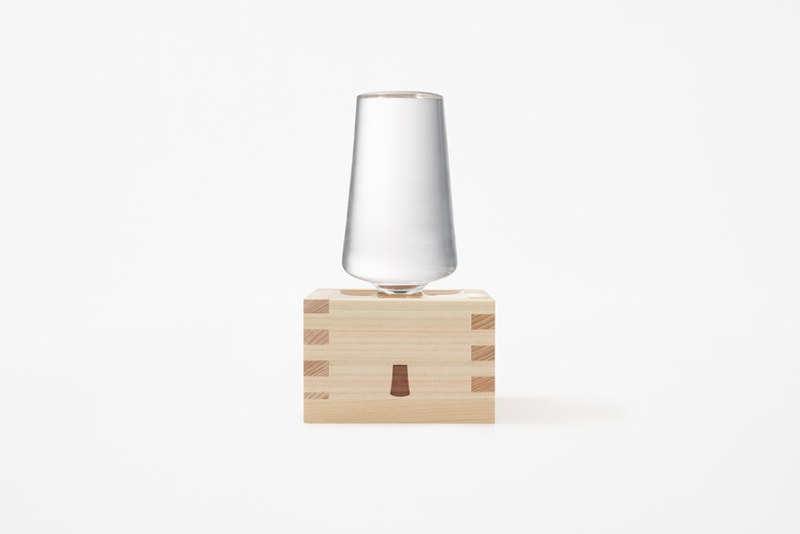 The wide, bugle-shaped mouth of this glass allows the aroma of the sake to spread quickly, similar to the shallow, lacquered traditional sake cup. 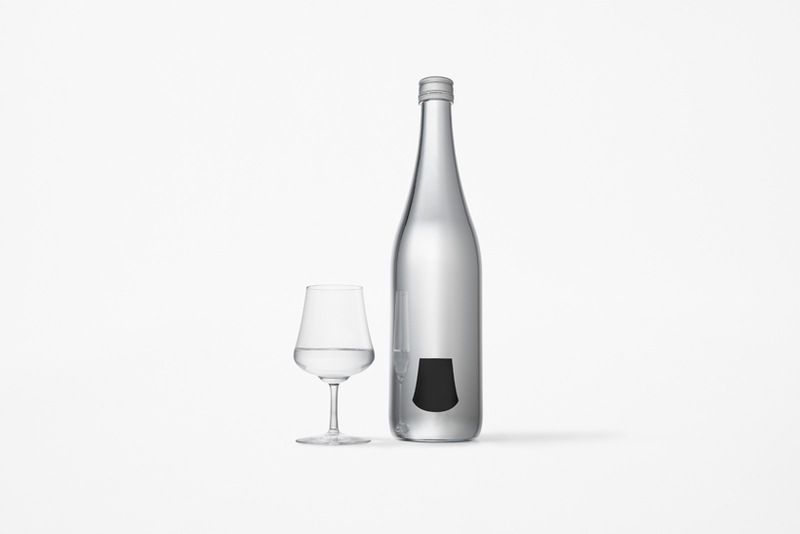 The glass delivers a substantial amount of sake with each drink, emphasising the fruity aroma of the sake as its flavours spread throughout the mouth in an instant. 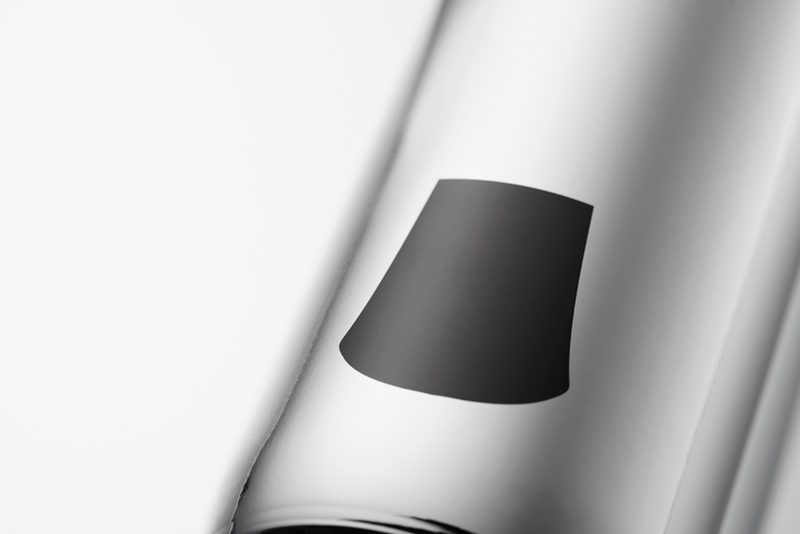 A larger surface area of sake making contact with the air helps promote oxidation, allowing the taster to also enjoy the transformation of the aroma. 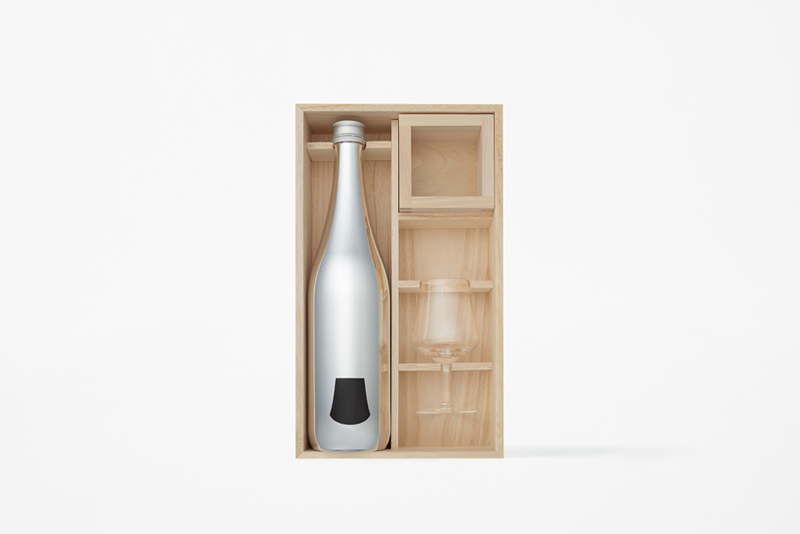 For aged sake, such as koshu or vintage varieties. 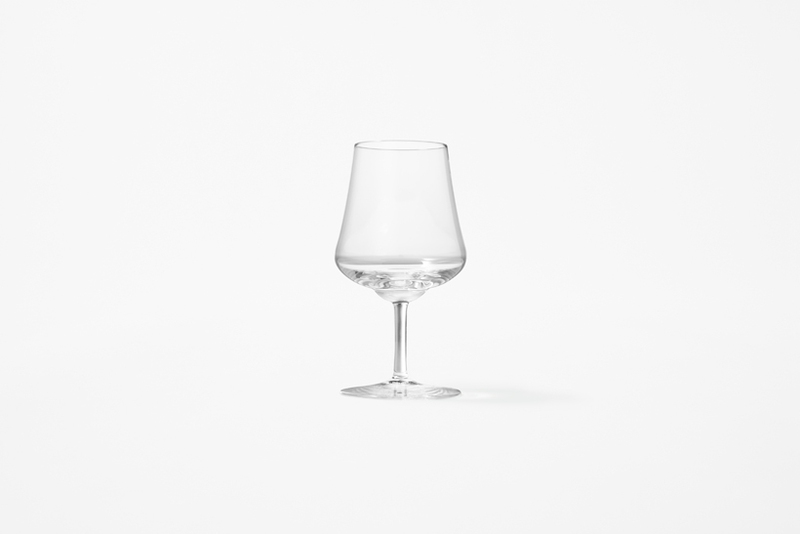 The shape of this glass allows just the right amount of the smell of alcohol to escape and makes even the deep flavours of aged sake go down smooth. By not overemphasising its potent fragrance, the glass allows the taster to enjoy the natural flavours of the aged sake. To help reduce the effect of the hand’s warmth on the sake, not only can the glass be held by the stem, but the flared base of the glass has also intentionally been made thicker. 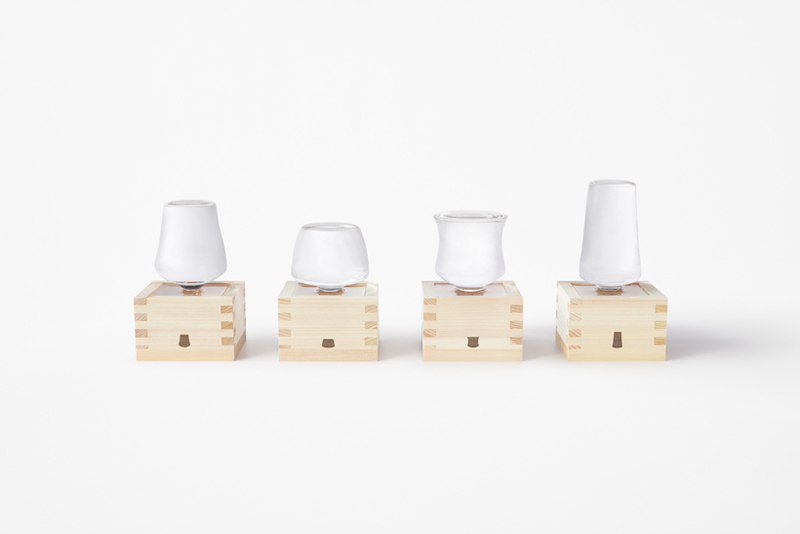 of a wooden masu cup and filled until overflowing. 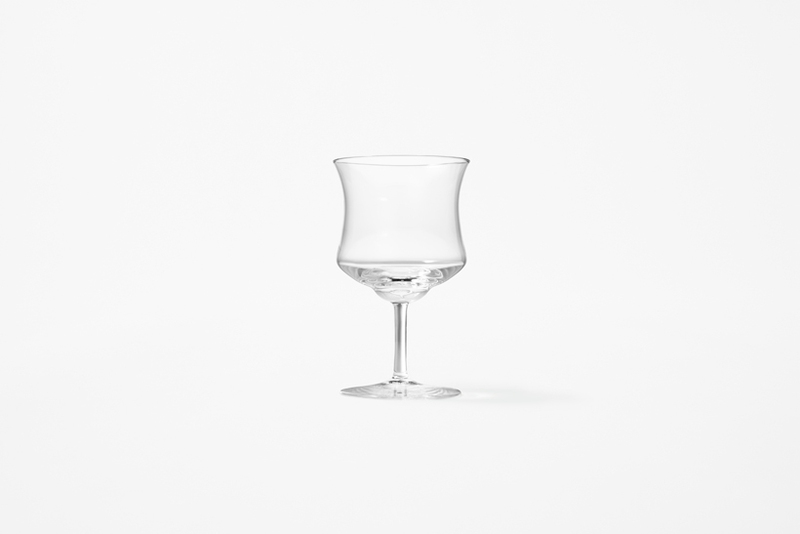 When served in this traditional style, known as ‘mokkiri’, the glasses will hold exactly 180ml. The height of the glasses makes it so that the stem is hidden when placed inside of the masu cup, giving the impression that the body of the glass is floating on the surface of the liquid.